Tonight, April 13 2018 the USA, France and the UK launched attacks on at least three major chemical weapons facilities in Syria. In support of the ongoing operation, the White House released an important statement that elucidates Syria’s chemical weapon capabilities and how it has used them against civilian populations. President Donald Trump has responded to the latest atrocity in Syria and the use of chemical weapons, calling Syria’s President Assad an “animal,” likewise accusing his accomplices Iran and Russia, and stating there is a “big price to pay.” There are many questions arising from Trump’s statement. The most important are, what will the United States do in response? How will America’s response affect relations with Russia, that are at an all time low? 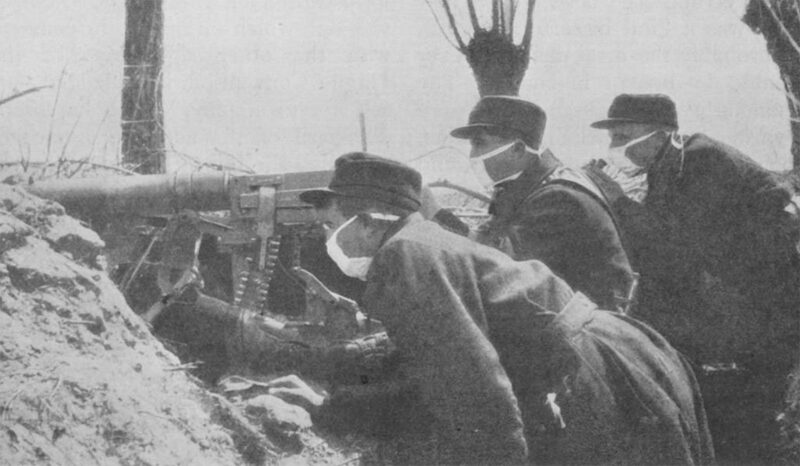 Chemical weapons have limited battlefield use, and when they were used in World War I to try and clean out allied trenches, their effectiveness was a mixed bag, killing a lot of troops and animals but not clearly affecting the war’s outcome. The same thing happened many years later in the battle of the al-Faw Peninsula between Iraq and Iran. 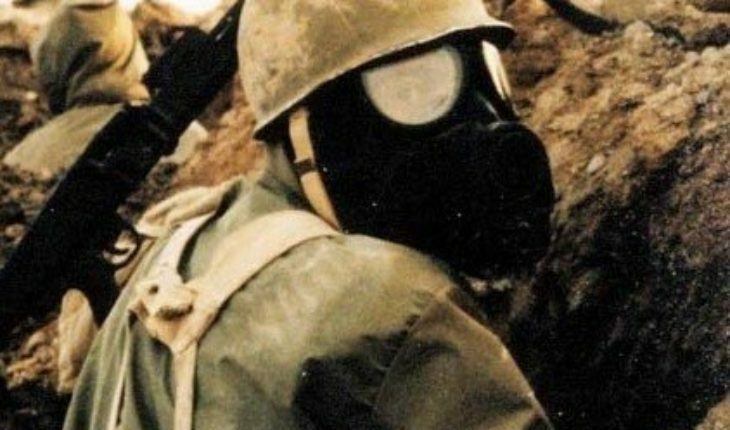 Both sides used chemical agents, but only Iraq had nerve gas in the form of Sarin and Tabun, which they mixed with other poisons and tried to use against the Iranians. Unfortunately for Iraqi troops, the stuff tended to blow back in their faces and was extraordinarily dangerous to handle, leaving many Iraqi soldiers sickened or dead. It is far from clear that chemicals made any difference in the al-Faw battle. 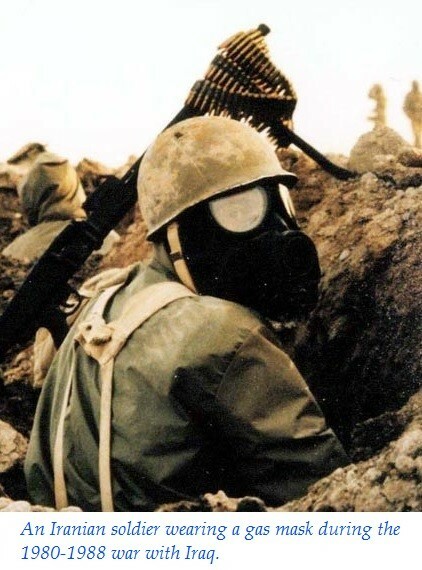 Later Saddam Hussein used a variety of chemical agents including Sarin against the Kurds, with one of the worst examples being the assault on Halabja, a Kurdish town in Iraq. This was clearly an attack on civilians because men of fighting age were not in the town –they were off fighting. The chemical attack was designed to punish Kurdish society for supporting the Kurdish independence movement. The result was thousands dead, and many more sickened who would later die from various diseases, especially respiratory ailments and cancers. And like al-Faw, Saddam used a “cocktail” of poison agents on Halabja, making medical treatment difficult if not impossible. One can argue with some truth that Saddam’s Halabja episode paid off by discouraging Kurdish fighters and dampening down the pro-Kurdish independence movement. For sure no one in the West thought enough of Saddam’s attacks on civilians to take any meaningful counter-action. President Trump holds the distinction of taking military action against a chemical attack –this exactly a year ago in Syria, where he punished the Syrians by attacking the air base in which Sarin-nerve gas attacks were launched against two Syrian towns, killing at least 80 people, mainly civilians. In response Trump ordered the use of some 59 Tomahawk cruise missiles aimed at the Al Shayrat airfield, which destroyed equipment and aircraft. Trump has made clear that both the Russians and the Iranians share responsibility with Assad for the latest attack on the rebel held town of Douma near the capital of Damascus. Approximately 40 people died in the attack according to still-unconfirmed reports, and many more, especially children are being treated for chemical exposure in local hospitals. There is important photographic evidence of the suffering of the children, although according to the President the area is sealed off by the Syrian army and inaccessible. The President has called for access to provide medical help to the survivors. There is no doubt that the President will take action. The question is, what should he do? The easiest answer is to launch some sort of aerial attack on the Syrian army or air force or both. This may be what the administration decides to do, although it will mostly be an limited response without any long term impact either on the outcome of the Syrian civil war, which looks like a Russian-Iranian-Assad victory, or on the civilians who are suffering the consequences of such attacks. But there are other steps that could be taken that might also help discourage this kind of behavior in future. On the military side one might include attacks on Syria’s military command centers and on the Syrian regime’s political centers. So far at least, these targets have never been hit in recent years either by the United States and its coalition partners, nor by Israel which has repeatedly been provoked by missiles being shipped by Iran to Syria and on into the hands of Hezbollah terrorists. Bringing the attack right to the real perpetrators could be a message they would understand better than any other. Trump also has to carry a message to President Vladimir Putin of Russia –in which he makes clear that Russia has not only to curtail its intelligence services who use poisons including nerve gas, but Putin also has to stop Assad from using chemical weapons. While the likely Russian response is to deny everything, clearly such explanations won’t wash and they are endangering any chance the Russians can work out acceptable deals on sensitive issues that range from arms control to a Ukrainian settlement. Trump does not need any encouragement to be tough against Syria, Iran and Russia. If the Syrians thought they would get away with yet another chemical attack because President Trump wants to get out of Syria, they badly miscalculated. Did Putin also make yet another blunder?